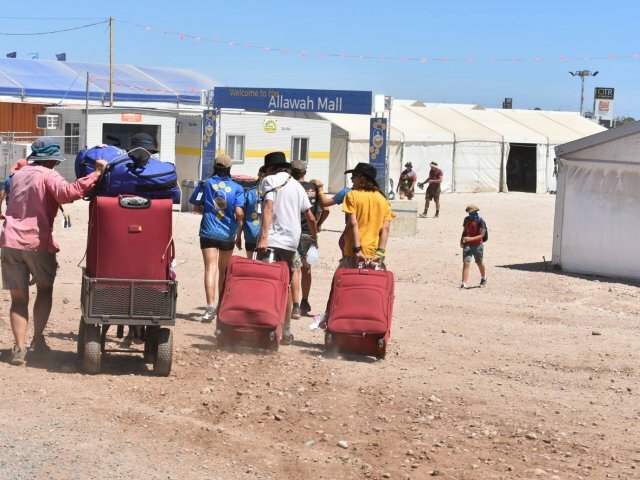 During the 2019 Australian Jamboree, members and supporters of the Lord Baden-Powell Society visited the site to experience AJ2019 first hand. The Lord Baden-Powell Society, has raised money through its Jamboree Fund since the Society was established in 1986. 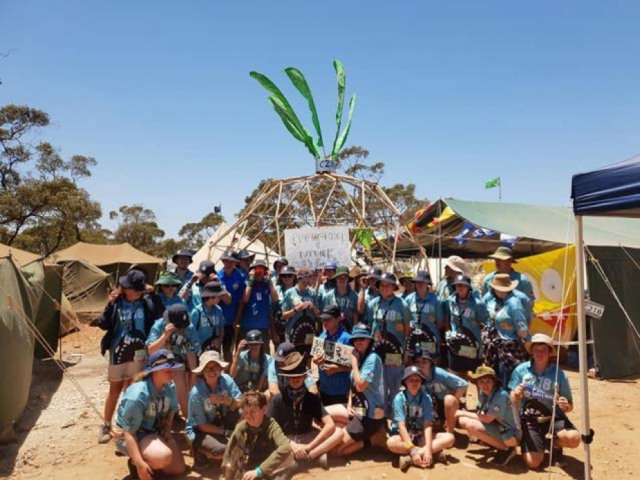 This Fund is used to support disadvantaged young Scouts who, without this financial support, would not otherwise be able to attend a major Scouting event such as the Australian Jamboree. Thanks to the support of our long standing Donor Members and other generous Supporters, we were able to achieve our preferred target of approx. $100,000 successfully. This allowed us to support 184 youth members to attend AJ2019. 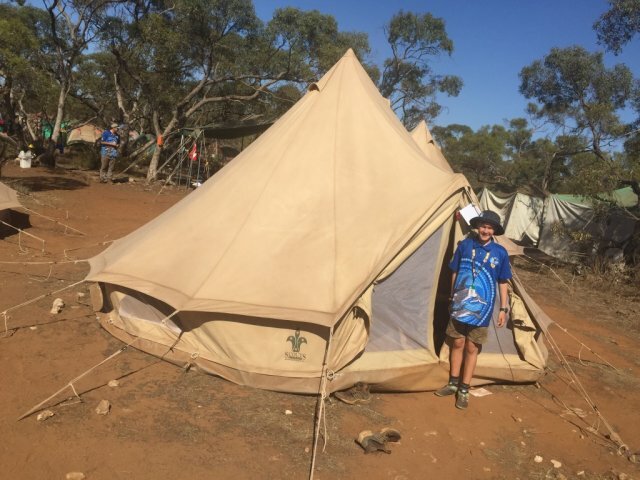 The Lord Baden-Powell Society Viewing Day at the Jamboree was held on Friday 11 January, and twenty three Lord Baden-Powell Society Members traveled to South Australia to attend. Held on a very hot and dry day, the function at the air conditioned Function Tent on the Jamboree site was an opportunity for our members to see how an Australian Jamboree helps young people build resilience, self responsibility and friendships at the same time as having fun. After a welcome and refreshments, guests toured the entire site, including a visit to the Scouts Australia Program Space. This included information on the new branding, new youth program, and other opportunities available to young people in our movement. We have now re-set the clock for our new set goal of $150,000 to continue supporting many more young Scouts get to the next Australian Jamboree for a once in a lifetime experience. Thank you for supporting the Lord Baden-Powell Society. If you know of anyone who wishes to become a Member, please ask them to get in touch with our Member Services Administrator by calling (02) 8440 5908 or by sending an email to lbps@scouts.com.au. 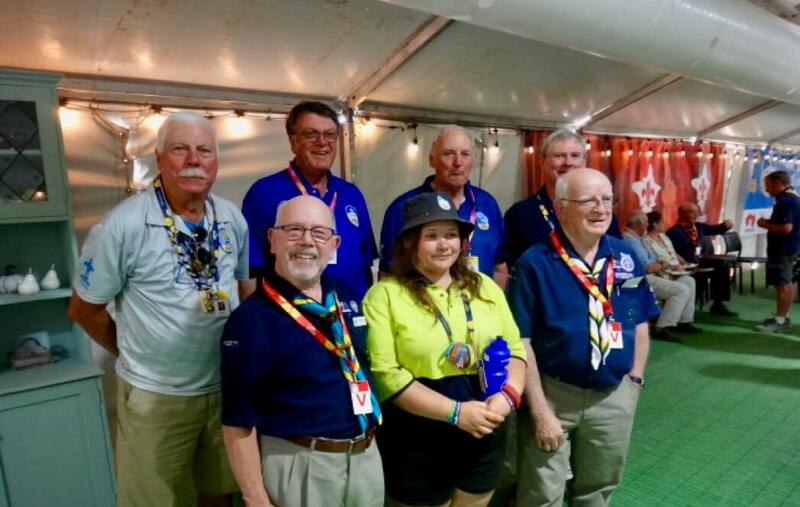 Several members of the Society also volunteered many hours to support the Jamboree providing leadership and professional expertise. Pictured here are just a few of them.